Upon graduating from Melbourne University in 1987 as a Dental Therapist, Anne commenced employment with the School Dental Service in Gippsland (both Warragul & Moe) where she stayed for the next 2 ½ years. From there she moved to Perth and commenced a 12 month stint with the Western Australia School Dental Service. Finally settling in North East Victoria, Anne worked with the School Dental Service, in both Wodonga and Wangaratta, dividing her time between the two locations. 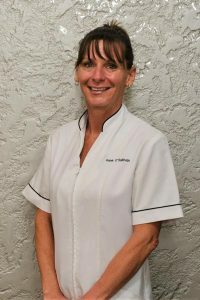 Anne joined the team at Goodison Dental Services in April 2005 as their first ever Dental Therapist, and since then has worked hard to build the Therapy department into the very busy, reputable section of the practice it is today. Anne is committed to helping the younger patients to become confident and comfortable in a dental environment while focusing on preventative care for continuing oral health. Cathryn graduated as Dux of the Associate Diploma of Dental Hygiene in Adelaide in 1989 and was honoured to receive the Oral B Foundation Award for Excellence in Preventative Dentistry upon graduation. 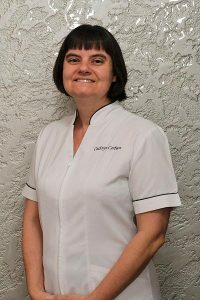 Cathryns expansive career in dental hygiene has covered many facets of dental hygiene care including experience in general practice, orthodontics, oral surgery, periodontics and special needs dentistry. 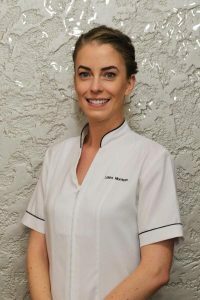 Cathryn has practiced as hygienist in Adelaide, Brisbane and Ballarat as well as Nuess (Germany) and Wellington (New Zealand). She joined the team at Goodisons in 1999 as their first dedicated Dental Hygienist. Since 2006 Cathryn has presented oral health education modules as part of the Colgate Professional Education Network at Melbourne, RMIT, LaTrobe and Charles Sturt Universities. Cathryn also presents at dental and allied health conferences throughout Australia. She has been an active member of the Dental Hygienists’ Association of Australia since 1988. Cathryn is married with 3 children, who all attend Galen College. Cathryn grew up on sheep and grain farm in the Riverina, NSW and enjoys the rural lifestyle Wangaratta offers. Our Oral Health Therapist Laura grew up in Wangaratta and in 2012 graduated from her Bachelor of Oral Health Science at La Trobe University in Bendigo. Taking on a dual role within the practice, Laura provides Hygiene services for adults, as well as a Dental Therapy treatments (including cleans, check-ups, extractions of baby teeth and fillings) for our younger patients up to the age of 25. Laura’s passionate about providing preventative treatment and making patients feel at ease when they visit the dentist. Laura enjoys keeping fit, catching up with friends and family and playing with her German Shepherd, Indi. In 2016 Laura (nee Morrison) and her partner purchased their home together in Wangaratta and married in March 2017.